Lush Fab Glam Inspired Lifestyle For The Modern Woman: Beauty Obsessions: ﻿OPI NYC Ballet Inspired Spring 2012 Collection! 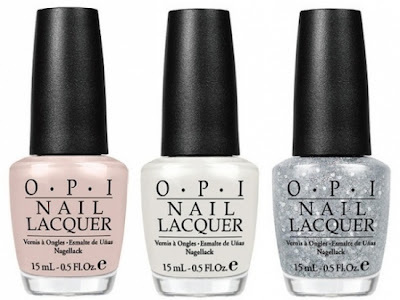 Beauty Obsessions: ﻿OPI NYC Ballet Inspired Spring 2012 Collection! 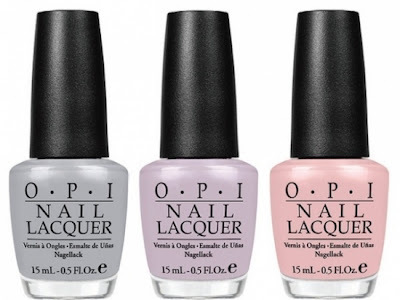 This is just one more sign that spring is on it's way, OPI has collaborated with the NYC Ballet to create their new Spring 2012 collection. The flattering soft pink, white and grey hues were inspired by the dancer's ballet shoes and costumes and will be available in specialty stores and professional salons in early April. (From left to right) My Point Exactly, Care to Danse and You calling Me a Lyre? OPI Executive VP & Artistic Director Suzi Weiss-Fischmann, shared her thoughts on the new collection saying that "OPI is so excited to work with the New York City Ballet. NYCB is rich with artistic history and has a renowned reputation that brings people from around the world to see NYCB performances. The dancers, choreography and costumes provided a wealth of inspiration for a range of soft, feminine hues. The beige, pink, and white lacquers bring to mind classic ballet slippers, tutus and leotards, while the sheer lilac and gray add muted color to ballet's traditional pink." (From left to right) Barre My Soul, Don't Touch My Tutu and Pirouette My Whistle. What do you think of OPI's Spring 2012 NYC Ballet Inspired Collection? Leave a comment below. "You callin me a LYRE" has all the Alpha Chi Omega's attention!! That's my favorite shade too.